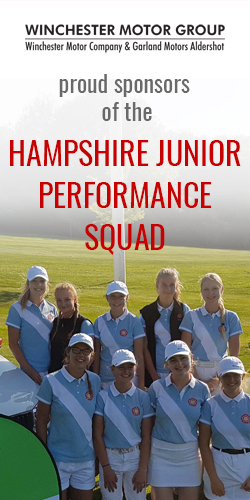 A total of fifteen Club Junior Opens and Hampshire events are available to contribute towards the trophies (Scratch & Nett), the best 7 scores counting towards the final result. Points are awarded for places in each qualifying competition, eg 10 points for a win, 9 for a second place, etc. For OOM points, only the morning round counts in 36-hole competitions. Qualifying OOM events are the Hampshire Girls’ Championship & Douglas Cup, plus the following Club Junior Opens: Army GC, Basingstoke GC, Blackmoor GC, Brokenhurst Manor GC, Hayling GC, Hockley GC, Liphook GC, North Hants GC, Rowlands Castle GC, Royal Winchester GC, Stoneham GC, Tylney Park GC and Waterlooville GC.